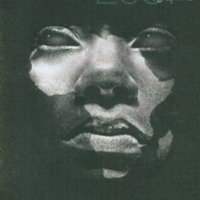 identity on tyne is a group for writers and artists of colour in North-East England. 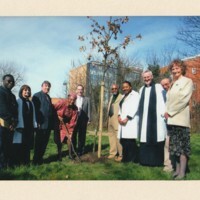 The Roots Initiative was their response to the bicentenary, in partnership with the Literary and Philosophical Society. 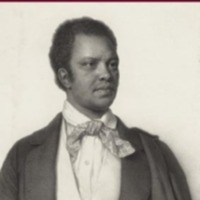 The writer Sheree Mack examined the region's involvement in the slave trade and the abolition movement through historical documents, creative writing and poetry. 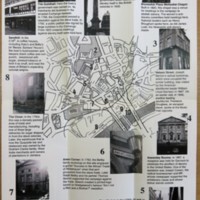 A heritage walk around Newcastle highlighted the events, individuals and places involved in the slave trade, slavery and the abolition movement in the North-East. Southwark Council created two online resources to commemorate the bicentenary. 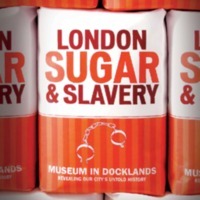 A historic walk, produced in collaboration with the Museum of London Docklands, highlighted locations connected with the slave trade and the early presence of Africans in Southwark. 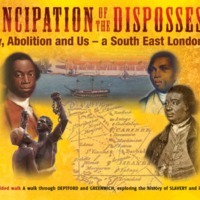 A timeline detailed key dates and events that led to the transatlantic slave trade, including Southwark's local connections to the trade and its abolition. The Cuming Museum in Southwark also held an exhibition, 'Lost and Found'. 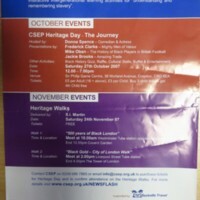 The Croydon Supplementary Education Project (CSEP) offers community-based learning initiatives to Black and Ethnic Minority communities in Croydon. Newsflash: Heritage Chronicles was a range of free interactive intergenerational learning activities for understanding and remembering slavery. 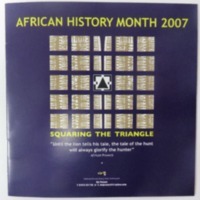 The programme included heritage days, heritage walks with historian S. I. Martin, and information and research to dispel myths about Africa before the arrival of the Europeans, such as the featured sheet about the Ghana, Mali and Songhai Empires. 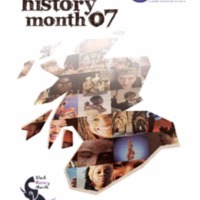 In 2007 Westminster City Council supported a programme of events in the libraries, galleries and archives of the area, including films, walks and exhibitions, designed to provide opportunities to learn about the culture of Westminster's communities. 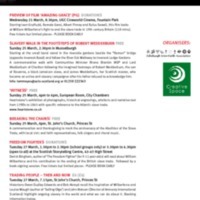 Highlights included guided heritage walks with historian S. I. Martin, exhibitions of images from the Royal Geographical Society in Paddington Library, Maida Vale Library and Westminster Reference Library, and film screenings (in partnership with 100 Black Men of London). A partnership between the City of Westminster Archives Centre, Tate Britain, Parliamentary Archives, National Gallery and National Portrait Gallery produced a heritage trail 'On the Road to Abolition: Ending the British Slave Trade', which takes in key sites, events and individuals in Westminster relating to the slave trade, between Trafalgar Square and Pimlico. In celebration of Black History Month, Westminster City Council produced a booklet, 'Black History in Westminster', detailing some of the borough's influential Black residents. 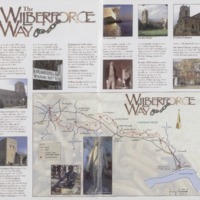 Part of Wilberforce 2007, the Walking with Wilberforce Heritage Trail is a journey through Hull's Old Town, via twelve important landmarks related to William Wilberforce and the theme of freedom. Along the trail is the Humanitarian Wall, at the Wilberforce Institute for the study of Slavery and Emancipation, constructed in 2006 to commemorate worldwide actions for human rights and justice. The ceramic markers, inspired by the Sankofa bird, were designed especially for the trail by three community and art groups from Hull's Africa Forum, from Hull College ceramic students and from local schools working in collaboration with two local ceramic artists. The trail was launched with a celebration of African culture led by students from Hull schools and the local Congolese community. This sixty-mile walking trail was devised to commemorate the bicentenary by East Riding Local Strategic Partnership's Community Cohesion Forum and the Yorkshire and Humber Faiths Forum. 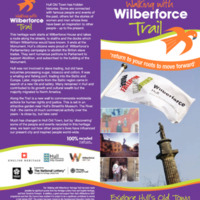 The trail connects some of the important places in the life of the abolitionist William Wilberforce: it starts in Hull (where Wilberforce was born), connects with Pocklington in the East Riding of Yorkshire (where he attended school) and finishes at York (where he was declared MP for the County of Yorkshire). 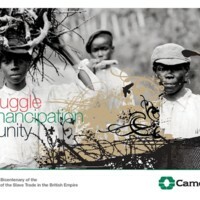 Lancaster was the UK's fourth largest slaving port at the height of the transatlantic slave trade in the 18th century. 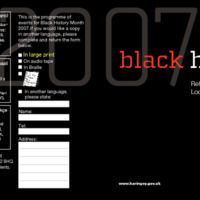 Lancashire Museums worked with a range of partners to raise awareness of this largely hidden history - first from 2002 through STAMP (the Slave Trade Arts Memorial Project), and in 2007 through Abolished? 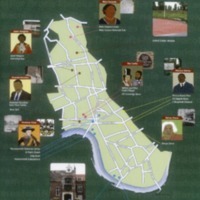 This bicentenary project consisted of exhibitions, creative writing, radio broadcasts, and schools projects, one of which produced a Slavery Town Trail that explored some of the buildings made possible by the wealth the slave trade brought to Lancaster. 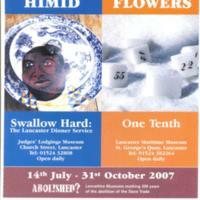 At the heart of the project were commissioned installations and interventions by artists Lubaina Himid ('Swallow Hard: The Lancaster Dinner Service' at the Judge's Lodgings) and Sue Flowers ('One Tenth' at Lancaster Maritime Museum). Both were accompanied by outreach programmes and workshops with local schools. 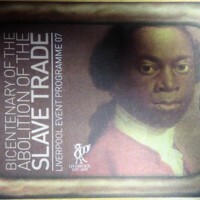 A touring exhibition was produced in partnership with Anti-Slavery International and Lancashire County Council Youth and Community, which looked at transatlantic slavery and modern day slavery. 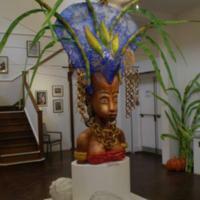 The exhibition toured throughout Lancashire.